Maintaining a beautiful landscape requires time, skill, and hard work. Leave it to the professionals! 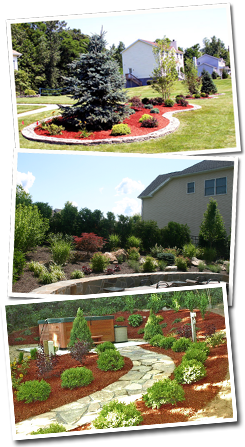 McKinney Landscaping Corporation offers professional lawn care and landscape maintenance in Cortlandt Manor, New York, and surrounding areas. We are also licensed applicators who provide expert care for trees and shrubs of all kinds. Don't let pests ruin your lawn. Our seasonal pest and disease control programs keep your property beautiful and healthy. Don't neglect your property any longer. In addition to our maintenance services, our experts deliver mulch & top soil, to the Do-It-Yourself property owner. Call our professionals today for more information. A friendly, professional member of our team will be happy to answer any questions you may have.